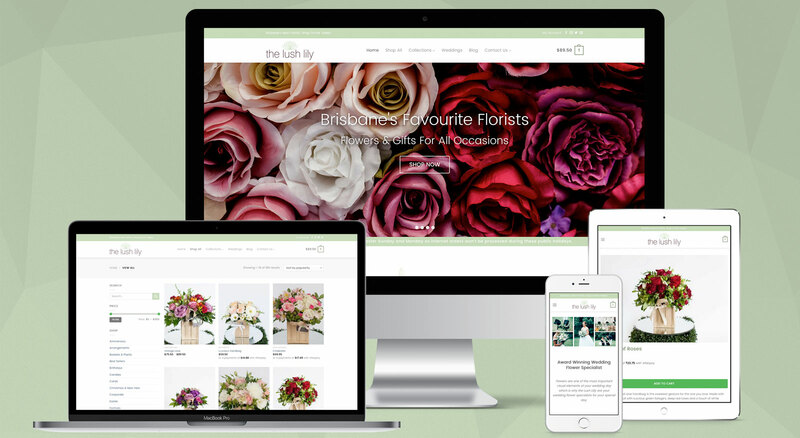 The Lush Lily is a Brisbane based florist and flower delivery service with stores located in Carindale, Garden City Mount Gravatt and Logan Hyperdome. Known as one of Brisbane’s best boutique florists, The Lush Lily specialises in a range of beautiful flower arrangements and gifts. With a flair for stylish and creative designs, staff members pride themselves on delivering unique flower arrangements with streamlined and friendly customer service. OnePoint recently met with The Lush Lily management to establish a strategy to upgrade their existing website and online store. Our team worked collaboratively to design and develop a modern, elegant theme that reflects the business branding and ensure ease of use. The website features a mobile-first approach to ensure the design is optimised for not only desktop and tablet users, but mobile users – who make up for the majority of the website’s traffic. The website also features various slideshow and galleries, carousels, subtle animations and integrations with NAB and Afterpay.